Canadian inspired, New Zealand based, we offer contract software development services and mobile application products. Located in beautiful Auckland, New Zealand, Onyx Software is a software development service company specializing in team leadership and C# development. "You are on the right path"
An Inuksuk, our mascot above, is an Inuit symbol meaning "You are on the right path". 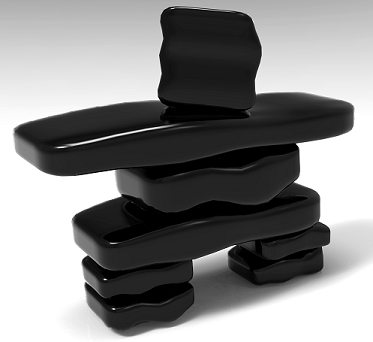 Inuksuit (plural of Inuksuk) are monuments made of unworked stones that are used by the Inuit for communication. For more information, please visit Wikipedia. Like what you've seen in our apps? The following links provide more information on the technologies used. Love what we do and want to show your appreciation? We graciously accept Bitcoin donations.